No matter if you enjoy taking or just watching images of space, NASA has a treat for you. They have made their entire collectionof images, sounds, and video available and publicly searchable online. It’s 140,000 photos and other resources available for you to see, or even download and use it any way you like. You can type in the term you want to search for and browse through the database of stunning images of outer space. Additionally, there are also images of astronauts, rocket launches, events at NASA and other interesting stuff. 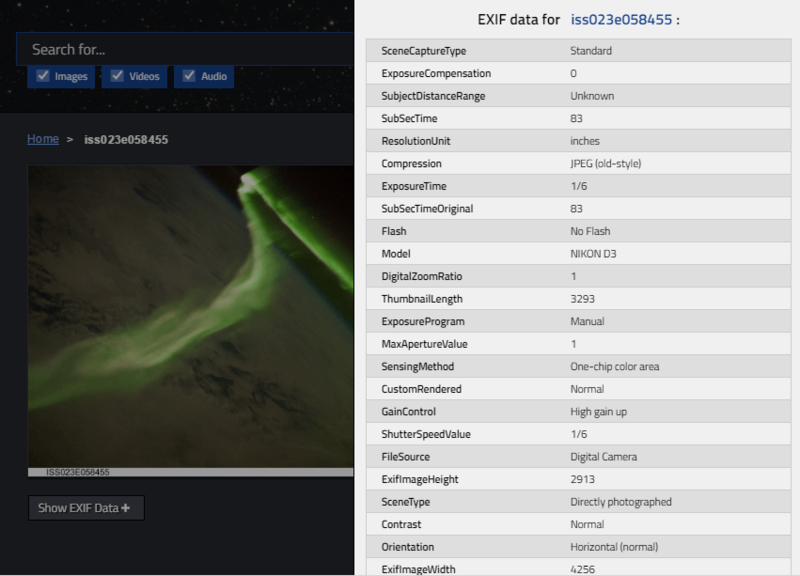 What’s also interesting is that almost every image comes with the EXIF data, which could be useful for astrophotography enthusiasts. What I love about NASA is that they make interesting content for average Internet users. They make us feel closer and more familiar with their work and with the secrets of the outer space. For instance, they recently launched a GIPHY account full of awesome animated gifs. It’s also great that photography is an important part of their missions, and so it was even before “pics or it didn’t happen” became the rule. The vast media library they have now published is available to everyone, free of charge and free of copyright. Therefore, you can take a peek at the fascinating mysteries of space, check out what it’s like inside NASA’s premises, or download the images to make something awesome from them. Either way, you’ll enjoy it.